6aus45 is Austria’s most popular lotto. To play, just pick six numbers from – you guessed it – 45! The name of the game also explains the game in a nutshell, and that’s the beauty of the Austrian Lotto, it’s simplicity! In the Austrian Lotto draw, six numbers are picked, plus an additional bonus number. Matching all six wins you the jackpot while additional prizes are given out for specific number and bonus number combinations. There are eight different prize tiers overall, and you have a 1 in 16 chance of winning the lowest prize division simply by guessing the bonus ball number. The Austrian Lottery offers far greater odds than most European lotteries, including the UK Lotto and EuroMillions. Overall you have a 1 in 12 chance of winning any prize, so, statistically speaking, every twelfth ticket should pay out. For more information on the odds read our FAQ section. 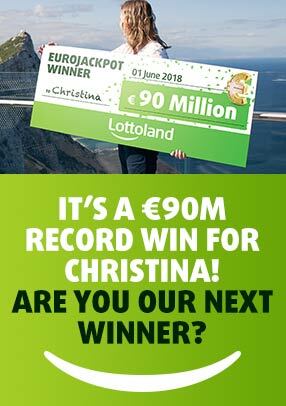 The value of record jackpots in the Austrian Lotto keeps growing. In 2011 the record was €9 million (around £8 million), in 2012 the new record was €9,5 million (around £8.45 million). Sure this might not be as high as other lotteries, but there’s still a clear trend towards ever-larger jackpots. Plus, don’t forget the Austrian Lotto has much better jackpot odds than many of its European neighbours and, at just £1.50 for a single ticket, it’s also much cheaper. The Joker is an extra special game in the Austrian Lotto which follows the main draw. A six digit number is drawn and you can play up to three different joker number combinations at a time for even bigger chances to win. Combo bets, also known as system bets, increase your ticket price but also your odds of winning. If you pick more than six numbers on your ticket you will automatically launch the Combo feature. The beauty of Combo bets is that, by selecting more numbers, you can then use those extra numbers in multiple combinations to increase your odds of winning. For more information please see our FAQ page.